The multi-national food giant Danone has been accused of misleading mothers with a controversial marketing campaign that warned they might not be providing enough breast milk. The company suggested mothers use powdered baby milk to make up any shortfall. An investigation by the Bureau of Investigative Journalism found that Danone has been marketing its formula milk product Aptamil in Turkey by suggesting mothers with six-month-old babies may not be providing enough of their own milk to meet their children’s needs. The campaign boosted infant formula sales in Turkey by at least 15% and may have led to mothers moving their infants on to formula unnecessarily. Danone says it based its advice on World Health Organisation (WHO) guidance, and claims that both the WHO and UN agency UNICEF endorsed the campaign. ‘Turkish UNICEF and WHO, together with other partners (Ministry of Health, TV stations, supermarkets, Paediatric Association) supported this campaign, with WHO allowing its logo to be used on printed materials,’ it told the Bureau. The campaign had increased mothers’ estimation of the amount of breast milk fed to their babies by 63%, it added. But the WHO has demanded that Danone stop using its name and logo while UNICEF has categorically denied endorsing the company’s actions. The episode has echoes of the baby milk controversies of the 1970s, which led to the international boycott of Nestle and illustrates the importance of emerging markets to Western multinationals. ‘Danone’s campaign is misleading,’ said Dr Colin Michie, chair of the British Royal College of Paediatrics and Child Health’s nutrition Committee. The company insists that the campaign was aimed at discouraging ‘inappropriate’ substitutions for milk such as rice flour, rather than ‘competing with breast milk’. Danone – best known in the UK for its ranges of ‘healthy’ yoghurts Actimel and Activa and Cow & Gate formula milk – began its Turkish marketing campaign in 2010. With a population of 73m, a relatively high birth rate and salaries on the rise, the company identified the infant nutrition market in Turkey as one with major potential. But traditionally Turkey had high rates of breast feeding – and no tradition of using formula milk. Turkish mothers also tend to give their babies solid food too early, potentially displacing breast milk. In 2009 Numil, Danone’s baby nutrition arm in Turkey, attempted to ‘check what was happening’. It enlisted 577 paediatricians to measure the breast milk production of breastfeeding mothers of children aged six months. 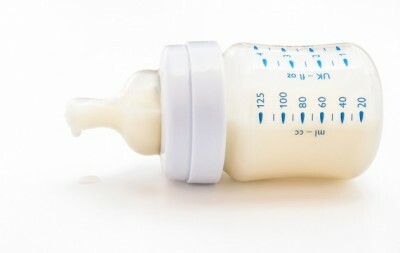 The doctors used breast pumps – a method the UK’s Royal College of Paediatrics says is unreliable – or weighed the babies before and after feeding to get their results. They found the mothers were producing an average of 290ml per day – although the findings have not been peer reviewed. The company then attempted to calculate a figure for the amount of breast milk a mother should be providing their child. It took a WHO bulletin that referred to an independent research paper on the energy children need to get from complementary food after six months of age. The paper was not designed to prove how much breast milk a child needs and the resulting figure is not recognised as a recommendation for a breastfeeding child by international authorities. The WHO and UNICEF recommend mothers breastfeed according to their children’s demands rather than specifying a set amount which would be difficult to measure. Danone then launched a marketing campaign aimed at parents and healthcare professionals to promote the 500ml figure – which it inaccurately claimed was a WHO recommendation – with the slogan ‘Her Gun Yarim Litre’ (Half a Litre Every Day). Much of the material features a 500ml jug or bottle of milk inside an orange shield – the same orange shield that appears on Danone’s Aptamil formula containers – and an image of a baby drinking from a bottle. The message was promoted on TV, on-line, including on Facebook and Twitter, and in supermarkets. International advertising and PR firms were drafted in to help the promotion. Supplementing with formula can reduce breast milk flow. UNICEF says there are several ways mothers can increase their breast milk supply, such as expressing milk between feeds. The test asks mothers questions about the frequency and duration of breastfeeding. Thousands of women have filled it in – and according to Danone, most have so far been given the result that they are not providing 500ml. The advice to those who are deemed to be providing less than 500ml is to use formula. Advertisements on one of the Facebook pages for Danone’s Milupa brand offered discounted formula or free baby bottles in return for sitting the test. But experts have questioned both the 500ml figure and its use in a recommendation to parents. Dr Helen Crawley, director of First Steps Nutrition Trust, an independent charity that provides information and resources on infant nutrition, said estimates of how much milk meets infant requirements are needed in case a child has to be fed with expressed breast milk or formula. ‘This is not the same as making a recommendation to mothers about volumes of breast milk,’ she said. Dr Gonca Yilmaz, director of one of the biggest paediatric units in Turkey and a member of the executive committee of the International Society of Social Paediatrics and Child Health, also condemned the campaign. But Professor Enver Hasanoglu, General Secretary of the Turkish National Paediatric Society and Dr Feyza Darendeliler, President of the Turkish National Paediatric Society said they backed Danone. Both the WHO and UNICEF have denied endorsing the campaign and say that their official policy is breastfeeding on demand after six months while gradually introducing other foods. The WHO has also said Danone did not have permission to use its logo on campaign materials and wrote to the company this month asking it to remove its name within 14 days. Dr Mitchie added: ‘The advice that babies need a specific volume of breast milk after six months is not based on any well-established evidence of which I am aware. He added: ‘Babies are to be weaned onto a mixed diet from six months, so that their needs for fluid volumes and nutrients will vary widely. This story appeared in the Independent newspaper. Boycotts of Nestlé breast milk substitutes spread from Minneapolis to Europe in the late 1970s and early 1980s. They were triggered by the Swiss firm’s alleged “aggressive marketing” of instant formula in the Third World. Campaigners claimed the products led to the suffering and deaths of children because parents mixed the powder with water that was often contaminated. In 1981, the World Health Organisation approved the International Code of Marketing of Breast Milk Substitutes, to protect breastfeeding and to ensure breast milk substitutes were used safely where they were necessary. Nestlé has always denied the allegations.